The Nikon UC-E24 USB Cable is a spare or replacement item for the cable originally included with the Z7 and Z6 mirrorless cameras. This cable features USB Type-C and Type-A connectors, can be used in conjunction with the EH-7p AC Adapter for in-camera charging, and can also facilitate connecting the camera to a computer. Box Dimensions (LxWxH) 4.6 x 4.6 x 0.9"
How is this cable different from a regular usb c cable? 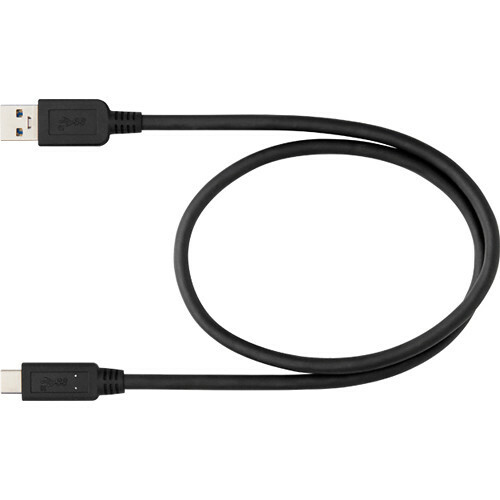 The Nikon UC-E24 USB Cable, B&amp;H # NIUCE24, should operate like any USB Type-A Male cable to USB Type-C Male cable. It is simply designed and tested for usage with Nikon cameras and accessories, such as the included Nikon EH-7p AC Adapter. Can this cable be used to charge camera or battery in camera while turned off - plugging it into another type of USB-AC adapter which plugs into electrical source....ie Apple USB-AC adaptor. I am looking to utilize an Apple adaptor with an EU plug.